The ultimate in high performance cruising sails, delivering competition level performance, combined with durability, for years of easy handling and trouble free sailing. Advanced technology enables full load path fibre layouts to be mapped to each reef point on both mainsails and furling headsails. The increased stability of the fibre-aligned membrane shakes out to a smooth, distortion free sail, even after being reefed for long periods. Sails fabricated in the conventional method by cutting and placing many separate panels, can only approximate the different load paths of a sail. 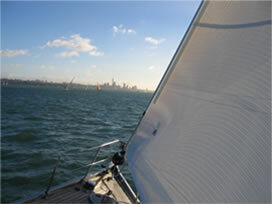 Stratis™ fibre- aligned sails have fibres mapped directly along all load paths. 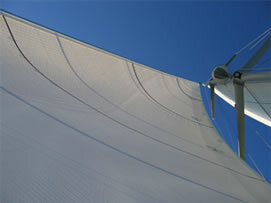 Every fibre is load bearing, making a stronger, lighter and more durable sail. Anti - microbial coatings plus Ti02 coatings over all fibres and taffetas give Stratis™ laminates exceptional protection.